Sounds pretty cool. I wish I could have gone to hear Tommy Lasorda a few years ago. AWESOME!!! I've been at the last two Diamond Dinners and they have been great events... I would highly recommend everyone to buy a ticket. Not only do you directly support the baseball program (which needs some extra love), but you get to meet the players, hear some great baseball talk, and even come away with some very cool auction items if you are so inclined. And even cooler that it's going to be Winfield... as a lifelong Twins fan, he's always been a fave. I actually got his autograph when I was a kid and he was on the Twins and the Beavers were the AAA team for Minnesota. The Twins would always come play an exhibition game against the Beavs, and I was lucky enough to get Winfield to sign a ball for me. I agree with Stonehouse about going to the Diamond Dinner if at all possible. I knew Stoney would be jazzed about Dave Winfield (who's coming as the speaker thanks to his close ties with Larry Casian, UP's pitching coach). It should be a great event. I also attended the first 2 big-time Diamond Dinners and heard Tommy Lasorda and Vida Blue. Both were outstanding and Winfield promises to make it 3 in a row! Here's a suggestion. A couple of you baseball fans out there in the Nation get together and commit to buy a table (10 seats @ $100 each) and then fill it with your friends and have a great dinner, excellent company, and a night not soon forgotten. GO PILOTS! Speaking of Casian, I saw him pitch at Civic when he was a Beaver, back when they were with the Twins. That must be where he met Winfield. Due to unpredictable weather and unsafe road conditions in the Portland metro area, the Diamond Dinner, set for Saturday evening Feb. 8, has been rescheduled. The new date for this event is Saturday, March 1, 2014 beginning at 5:30pm in Bauccio Commons on the University of Portland campus. "Thank you in advance for your patience and support as we work through new details for the dinner," said athletic director Scott Leykam. "This is an important fundraiser and community event for Portland Pilots Baseball." Additional details will be posted at up.edu and PortlandPilots.com soon. Please contact Laura Hanna at hanna@up.edu for more information. 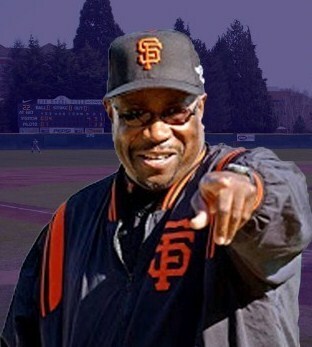 The dinner features Cincinnati Reds (I remember him with the Giants) manager Dusty Baker as the guest speaker.